Endometriosis and uterine fibroids: Is there a connection? Endometriosis. U.S. Department of Health and Human Services: WomensHealth.gov. 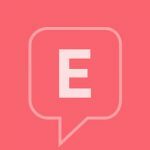 https://www.womenshealth.gov/a-z-topics/endometriosis. Published March 16, 2018. Accessed October 17, 2018. Uterine Fibroids. Mayo Clinic. https://www.mayoclinic.org/diseases-conditions/uterine-fibroids/symptoms-causes/syc-20354288. Accessed October 18, 2018. Seckin T. Endometriosis. Delayed diagnosis impacts disease management and patient well-being. News Medical Life Sciences. https://www.news-medical.net/health/Endometriosis-Delayed-Diagnosis-Impacts-Disease-Management-and-Patient-Well-Being.aspx. Accessed October 18, 2018. Uimari O, Jӓrvelӓ I, Ryynӓnen M. Do symptomatic endometriosis and uterine fibroids appear together? J Hum Reproduc Sci. 2011;4(1):34-30. https://www.ncbi.nlm.nih.gov/pmc/articles/PMC3136067/. Accessed October 18, 2018. Uterine Fibroids. Mayo Clinic. https://www.mayoclinic.org/diseases-conditions/uterine-fibroids/diagnosis-treatment/drc-20354294. Accessed October 18, 2018.